Ready for a new twist on a beloved classic? 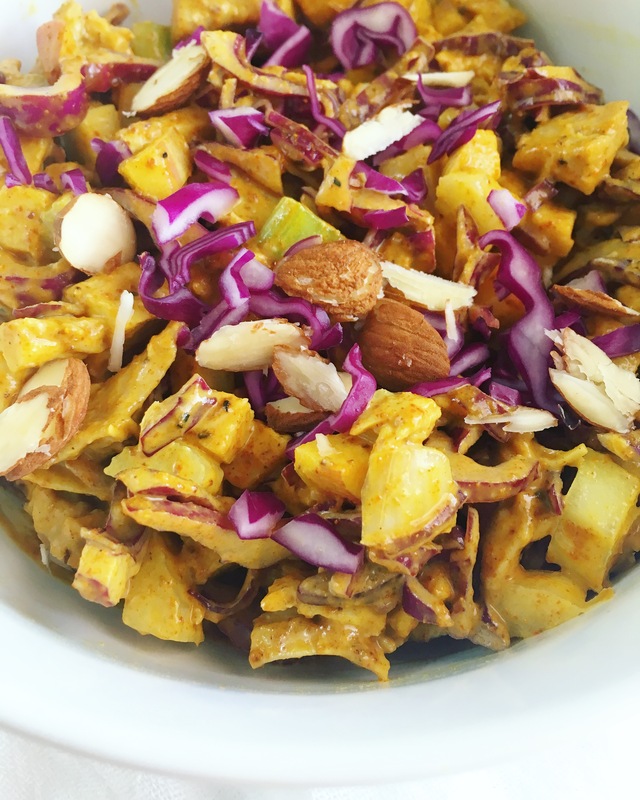 Try this Paleo Curry Chicken Salad! This recipe for Paleo Curry Chicken Salad is a total game changer, especially now that we have access to amazing and healthy mayonnaise like Primal Kitchen Foods mayo. Chicken salad is something that I am able to make super quickly for a delicious lunch or snack with no fuss. I always batch cook at the beginning of the week, so I love to be able to make different recipes using the same ingredients to make sure that I don’t get tired of eating the same thing daily. Your typical chicken salad is totally delicious, but every once in a while you need to spice things up and have something a little different that is totally amazing. 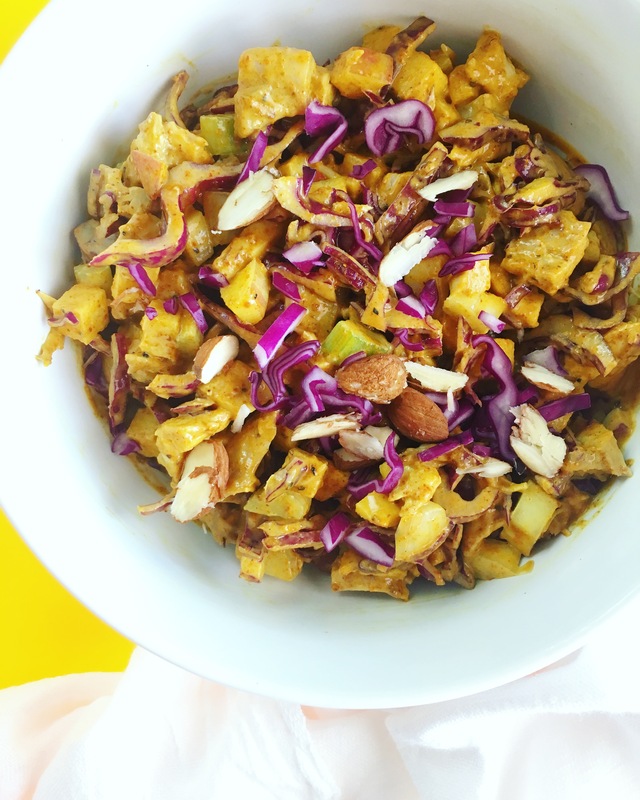 I absolutely love curry, so I decided to make a Curry Chicken Salad that is healthy and gives a spin to your typical! I love using this curry powder! I have made this recipe a few different ways by adding in different elements, such as slivered almonds, purple cabbage, cashews, celery, raisins, or apple. I have made it many different ways, based on what I have in the kitchen, so don’t feel like you have to get stuck following the recipe to a T.
Bake chicken- you can use any part of the chicken. I actually love using a mix of meat to add a more tender meat from the thighs. Combine mayonnaise, lemon, honey, curry powder, slat, and pepper. Mix with remaining ingredients, refrigerate, and enjoy! I also love subbing apple and cabbage for raisins or currants and almonds for cashews. This is the mayonnaise I recommend and this is the curry powder that I recommend! I hope you enjoy this recipe! I would love to hear about the changes that you made and what you thought! 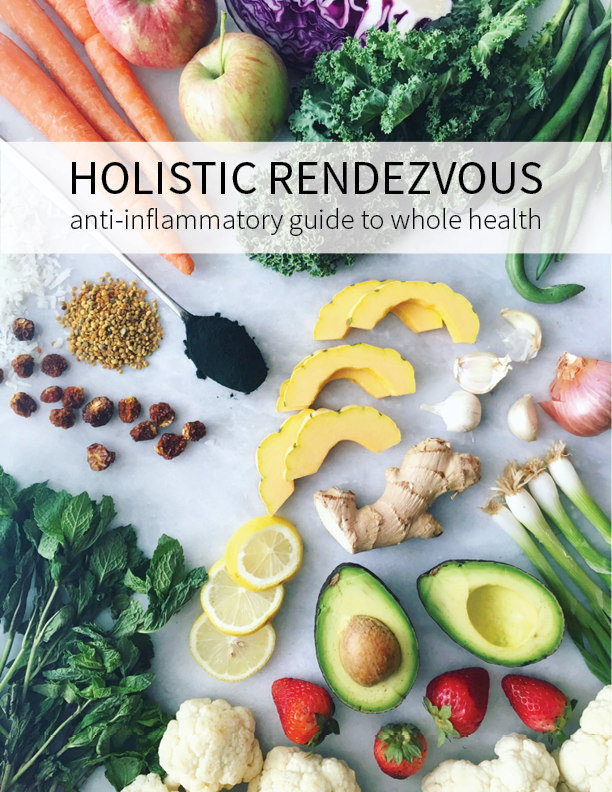 Don’t forget to tag me on Instagram @holisticrendezvous and #holisticrendezvous!